I wrote one of my best writings but I forgot to to clearly demonstrate my paragraphs in Task 1. That is I wrote the whole text without leaving blank lines for just Task 1. Do you think if an ask for remark may change my score in writing? That is unlikely to have been the reason you got 6 in writing. Paragraphing in the Task 1 graph is not as important as for the Task 2 essay. The most important thing is to make it coherent by grouping information together so it is easy to read and follow. Of course you should aim to put these groups into paragraphs as it is important to make it as easy to read as possible for the examiner. However, it is not an absolute requirement as regards the grading (except for band 8 and 9 - see below) so if it is still easy to follow without paragraphs and organised well, that will be ok and your score will not be reduced. Paragraphs in the IELTS writing Task 1 are important when you start talking about band 8 or 9 for Task 1, but like I say, not putting them in is not going to be the reason you dropped to a 6. There must be something else. Anyway, it seems from what you say that you did use paragraphs but you did not leave a gap / space between them on the page? That does not matter as long as it was still clear it was a new paragraph, such as by indenting the first line. It's impossible to predict if a remark would increase your score or not. It's possible but I wouldn't base it on your paragraphing. Just get a remark if you think an error has been made and you think your score should be higher. Though be aware that as you got 8s in two other components it's possible it has been rechecked already. 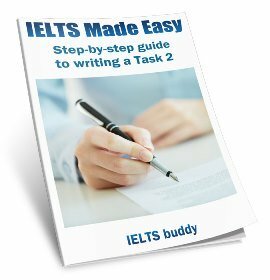 Thank you very much for your thorough answer about paragraphs in IELTS Writing Task 1. This helps me a lot with taking a better decision. There is just two other points I'd like to share with you and that is, I have heard just when there is a 2 score difference between writing and speaking, they may reference the writing twice. Is that the case or as you said, since I already have two eight's, they for sure have looked it up once again? The other thing is, since my handwriting is usually bad, I think it might also have played an adverse role in my writing score. If that is the case, may someone else who is more patient, give me a better score? Actually IELTS don't officially make pubic the circumstances under which they do remark papers, so given it is confidential it's not really possible to say here exactly which papers they will choose to remark. But you are right that if you search on the internet, people tend to say it's the difference between the writing and speaking which will flag up a possible problem. But as I said I can't answer that with 100% certainty. A remark is always going to be a bit of a gamble really as it's impossible to predict what could happen. It's usually worth it if you are for some good reason very confident it is wrong. Also if you only need half a band increase it's better as it's less likely to go up by a whole band (though that does happen). With regards to the handwriting, you aren't graded on your handwriting, but of course if it is so bad the examiner can't actually work out what you are saying in places this could affect your score because how can the examiner know for sure if you are spelling correctly or good at collocating? But I don't think a remark on that basis is a good idea because if your handwriting was poor the examiner should still have done their best to try and read it, and if they couldn't, a new examiner is likely to have the same problem. If you think it really is a problem and is affecting your score, you are better to work on improving it and taking the test again. 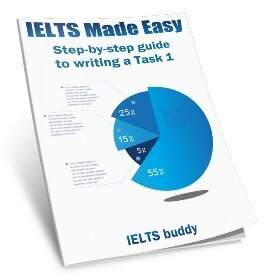 Ideally you should get a trained IELTS instructor to look at some samples of your essays / graphs and then you will have an idea of your level. Thank you very much for your thorough and careful reply. I really appreciate it. Indeed paragraphing has a great value but it does not effect the band worth. The basic reason is that students explain every bit, but they should be grouping the information and giving vital information. If you look at the statement it says give important and significant facts and not each and everything, so when dealing with task 1 only give the most significant, noticeable facts as it is factual information and in factual important facts are given. Congratulation Mohammad for this high marks. Could you tell us what were the writing and speaking questions? Dear contributors, after 3 weeks, I am informed by the IELTS organization that my inquiry didn't change my writing results. I hope this helps the rest. Can anyone suggest good online portals for reading and writing practice? It is said if you do not paraphrase the words in the introduction of task 1(any repetitive words or same words with the topic), those words will not be counted in the total 150 words, and such a writing will get a low score. An examiner will of course only rate language that is yours. For example if you had clearly memorized an essay and copied it out, it wouldn't be your language. With regards to what you say about the introduction though it's not possible to say that would automatically mean a low score. The rest of the essay was still yours so your score would depend on the content of that. So how am I to paragraph for a band 8 or 9? Am I supposed to indent and leave a blank space in between paragraphs? 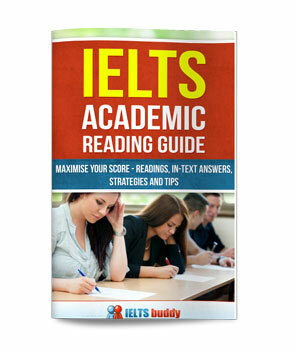 Indenting or leaving a space between paragraphs has nothing to do with getting an band IELTS band 8 or 9. Indenting is not important but it's best to leave a space between paragraphs regardless of what band you want. The purpose is just to make sure the examiner notices that it's a new paragraph. If you don't there is a danger that it will look like part of the last paragraph and then you could lose marks for not paragraphing properly. With 5 years of experience as an examiner I can say that candidates have 3 key responsibilities to get a 7 on their reports. Second, data, or numbers, have to be part of the report. How much data? Enough to prove the validity of the information in the overview along with one or two interesting details of the diagram. Last of all, always be careful to use complex sentences when you write. This is a must. With 5 years and more of experience as an examiners, we assist students who willing to seat for the ielts exam to obtain good band scores. You are misunderstanding the way the scoring works as you are not given 'points' off for spelling mistakes. 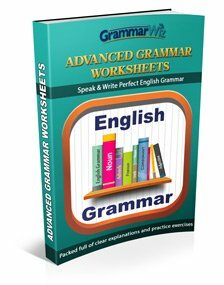 The examiner would look at the density of mistakes over your whole writing but they would also be looking at other things such as collocations. Unless you are a band 9 writer it's also likely that you may have made more than that one mistake.